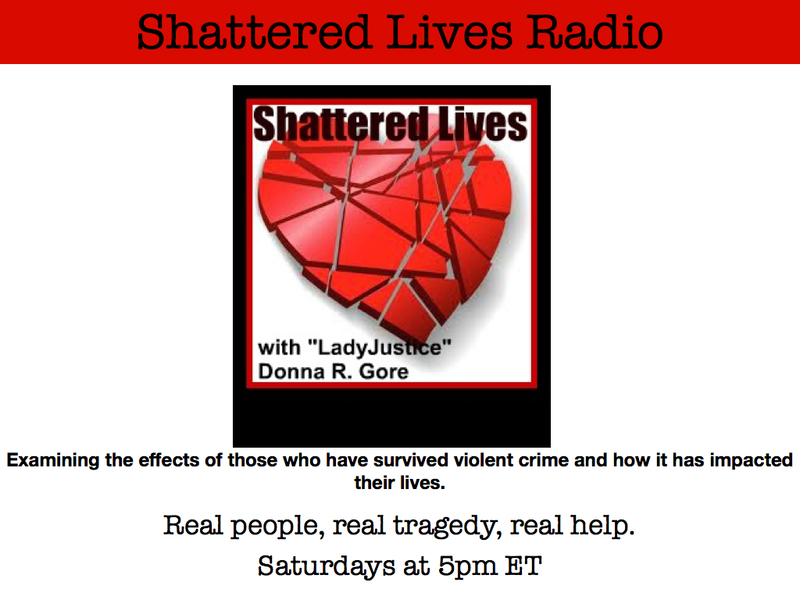 Shattered Lives Radio host Donna R. Gore welcomes former NY Investigator and full time crime author, Denny Griffin to give listeners an update on the mysterious circumstances surrounding the death of Sgt. Patrick Rust. Working with the Rust family, Griffin has worked diligently to uncover the clues that will resolve many of the unanswered questions. Sgt. Patrick Rust was assigned to the 10thMountain Division headquartered at Fort Drum in Watertown, New York. In January 2007, he returned from deployment to Afghanistan. Following a 30 day leave he was back on post. The then 24-year-old Rust was a local boy and was familiar with Watertown and the surrounding area. He didn’t have a driver’s license or vehicle. On Wednesday, March 14, 2007, Sgt. Rust moved most of his personal effects from the barracks on base to share an apartment with a fellow soldier at 156 Sterling Street, Apartment 4, in Watertown. The following day Patrick rode back to the apartment with his new roommate after they were released from duty at around 5 pm. At around 6:30 they left the apartment in the roommate’s car and drove to the Salmon Run Mall. While there Patrick purchased some games for his Gameboy PSP player in the Best Buy store. They then went to the food court and got something to eat at Wendy’s. At around 7:50 the pair left the mall and split up a short time later, with the roommate stopping at a tanning salon and Patrick walking back to their apartment. The next reported sighting of Patrick was between 9 and 10 p.m. at a well-known gay and lesbian bar on Arsenal Street called Clueless. It was an establishment Patrick had never been at before and it is unknown why he went there that night. Patrick reportedly left the bar at around 1 a.m. on March 16 and disappeared. His skeletal remains were found six months later in a farmer’s field about five miles outside of Watertown. How he got to that location is unknown and his manner of death is undetermined. If you have any information regarding how Patrick died, how he got to the location where he was found, or any other pertinent details which may help—or if you know somebody who does—please call the Jefferson County Sheriff’s Department at 315 786-2676 or 786-2672. On Tuesday, September 16, 2014 at 4:00 p.m., you can help to honor Patrick’s memory by attending a brief ceremony at BOCES, 20104 State Rt. 3, Watertown, New York—just yards from where his remains were found on that same date in 2007. I retired in 1994, after a 20-year career in investigations and law enforcement in New York State. In 1996 I wrote my first novel, The Morgue. and currently have seven mystery/thrillers published. My debut in nonfiction, Policing Las Vegas – A History of Law Enforcement in Southern Nevada, was released in April 2005. It covers the evolution of law enforcement in Las Vegas and Clark County from the city’s establishment in 1905. My second nonfiction, The Battle for Las Vegas – The Law versus the Mob, tells the story of the Tony Spilotro era in Las Vegas from 1971 thru 1986. It was released in July 2006 and was a Computer Times Editor’s Selection in October 2006. That was followed in July 2007 by CULLOTTA, the biography of former Chicago and Las Vegas mobster Frank Cullotta. My latest Mob book is Surviving The Mob, the biography of former Gambino crime family associate Andrew DiDionato, which hit store shelves in January 2011. In October 2012 my first entertainment book, House Party Tonight, the story of legendary saxophonist Don Hill, was published by Houdini Books. And that December Rogue Town, the true story of crime and corruption in Stamford, Connecticut, was published by Houdini. La Bella Mafia, the story of a woman who survived and overcame a life of physical and sexual abuse, was released in October 2013. Two months later Hole in the Wall Gang, a sequel to CULLOTTA was published. At present I’m working on two true crime projects. I served as co-host of the popular Blog Talk Radio show Crime Wire, as a consultant to the Vegas Mob Tour, and am currently speaker coordinator for Mob-Con. I’m an active member of the Wednesday Warrior Writers, Public Safety Writers Association and GLAWS. Next PostAudio Books: Don’t You Love Them?